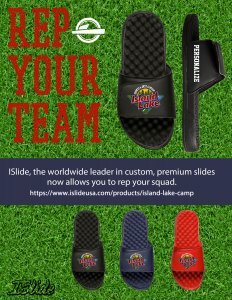 Please see below to view a sample of the ISlides. They’re offered in black, navy blue, and red in a variety of sizes. They look amazing and seem to be very comfortable so we’re excited for our own pair! ILCUTHERE!